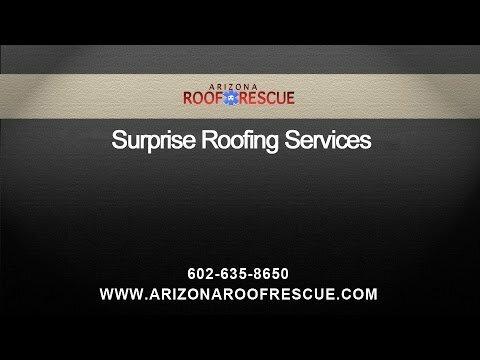 Arizona Roof Rescue » Blog » Everything You Need to Know about Residential Roof Moisture in Surprise! You probably think that unless we are in the middle of the monsoon season, you really don’t need to know anything about roof moisture at all. We do have over 300 days of sunshine every year, after all. But the truth is, there are many reasons why you want to make sure that your roof is not suffering from (excessive) moisture issues, and those could be detrimental to the health of your Surprise roof, and yours as well. Why? Read on to learn more about the most common causes of roof and attic moisture in residential roofing structures. Here are the causes and fixes for roof moisture in your home! While Arizona winters are a far cry from what our friends up north are dealing with, we do have some pretty cold days and nights. Cold air can hold less humidity than warm air can which can potentially lead to condensation in your attic, for example. If you want to spot check your attic and roofing structure for moisture and condensation, check cold areas and under roof decks, as those are areas where moisture moist commonly settles as condensation. Often, you will have to look for moisture damage, unlike a roof leak, excess condensation won’t drip on your head and say: heyo, here’s the leak. Instead there are little hidden pointers all over your house. For example, you may have noticed (but not given it much thought) more rust, buckling shingles, moisture accumulating around or build up frost on roofing nails, wet insulation, spatter marks on the attic floor, dark spots, and several others. While none of the above should ring any warning bells, by themselves, if you look at the bigger picture and connect the dots, you may find that chances are you have a condensation problem in your attic. If you are unsure if or of the extend of your moisture problem, call your experienced Surprise roofing company who can quickly and with certainty assess the situation and advice on how to proceed. In the winter, it is commonly a problem of cold air that can’t hold as much humidity as warm air does, but there are many other possible sources in your home than can be credited for moisture trouble in your roof. The kitchen, bathrooms, washing machine, dishwasher and any other steam emitting household electronic will increase the humidity level of your home. This isn’t normally an issue if the usage of those electronics aren’t overly high and if you home is ventilated properly. Basements can be notoriously damp areas of your house as well. The moisture evaporates when it meets the warm air (in the winter we heat our home even in Surprise) and since warm air rises, the evaporated humidity is carried up to the attic until it hits the cold roof deck and condensates. As mentioned above, moisture problems in your attic can be more than just cosmetic, down the road they can cause some serious trouble for your roof and cost you a bundle to fix it right or to have your Phoenix roof repair professional take care of it. Wet attics can cause wooden carriers to soften and deteriorate, cause shingles to buckle, underlayment to break down, nails to rust and essentially can weaken the entire roofing structure. Additionally, they favor the growth of fungus and mold which is not only unsightly but can cause serious health issues for your entire family. Your initial instinct may be to increase ventilation but oftentimes, this does not resolve the problem at hand, especially during the colder months. With increased ventilation, you will also have more air coming into your Surprise roof, effectively lowering the temperature, which, as previously pointed out, may in fact increase the condensation issues in your attic. Ideally, the humidity never gets to the attic. Fairly handy homeowners can attempt to weatherize their home on their own to prevent too much warm air escaping into their attic. Of course, you don’t want your home to be insulated too tightly as this is not favorable either. Your professional roofer can assist you with assessing which method of ventilation and sealing is right for you and your roof. He can also help to check if you attic floor insulation is the right kind for your roof to ensure that it has the vapor barrier that your roof needs. Most insulations have the vapor barrier already attached to them, if not, ask your Surprise roofing contractor for help. And lastly you want to make sure that the roof is ventilated well. Generally speaking, roof ventilation works circular. Air comes in through the soffits, and escapes through ridge and roof vents. This ensures that there is a constant and sufficient circulation of air that keeps your roof and attic healthy. You can prevent a good deal of roof issues caused by moisture by having your roof inspected regularly by a roofing contractor. If you are not afraid of heights and enjoy doing things on your own, you can perform roof checks on your own, but should call your trusted roofing professional if you are second guessing anything at all. Regular residential roof inspections are an excellent way to detect problems early on. No matter if you are dealing with moisture issues, missing shingles, damaged underlayment, it is important to address roof problems as early as possible to keep the cost of repair of your residential roof to a minimum and the roof strong. Arizona Roof Rescue has been providing roof inspections and residential roof repair services in the greater Phoenix area for many years. Our qualified and experienced roofing professionals can assess shingle and tile roof problems and make recommendations on how to best address them. If you think that your attic has a moisture problem or you are dealing with a commercial or residential roofing emergency, don’t hesitate to contact us today. Home » Blog » Everything You Need to Know about Residential Roof Moisture in Surprise!